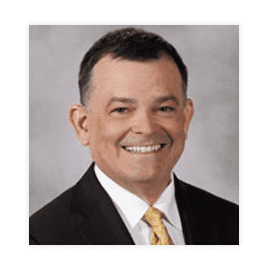 Francisco J. Garcini, MD, PhD, FACOG, FACS enjoys the challenge of providing state-of-the-art, clinically proven (evidence-based) solutions to complex gynecologic conditions at his practice, Gynecologic Surgery and Menopause Solutions. What this means for women in New Lenox, Illinois, is that they have access to exceptional women’s health care that addresses both routine and unusual gynecologic issues. And while the care is top notch, so is the compassion, patience, and understanding that Dr. Garcini brings to his practice. The doctor takes the time to listen to each of his patients and works exhaustively until he finds a long-term solution. Dr. Garcini specializes in issues that include pelvic pain, heavy bleeding, endometriosis, and ovarian cysts. The doctor is equipped with the latest diagnostic tools, and he has extensive experience using the most advanced laparoscopic and robot-assisted techniques for minimally invasive surgery. After graduating from Boston College with a PhD in molecular biology, Dr. Garcini went on to earn his medical degree at the University of Miami Miller School of Medicine. He completed his OB/GYN residency at the University of Texas Health Science Center in Houston. Dr. Garcini is a Fellow of The American College of Obstetricians and Gynecologists and the American College of Surgeons. He is also certified in obstetrics and gynecology by the American Board of Medical Specialties. To ensure that he stays abreast of the latest advancements in gynecologic care, Dr. Garcini is a member of the American Association of Gynecologic Laparoscopists, the Society of Robotic Surgery, the International Pelvic Pain Society, and the North American Menopause Society, to name just a few. When he’s not practicing medicine, Dr. Garcini enjoys scuba diving and photography. "If you are looking for a physician who is smart, yet genuinely caring, I strongly recommend Dr. Garcini." "Dr. Garcini is a thorough, humble, physician. I trust him with all of my health concerns, and his bedside manner is second to none." "I highly recommend Dr. Garcini. His staff is professional and courteous, and the wait time is hard to beat." "Dr. Garcini is a great doctor and surgeon. He has an amazing bedside manner and listens to any concerns that I bring forward. I couldn't ask for a better doctor." "Dr. Garcini is an excellent medical provider and surgeon. His staff is just as knowledgable, professional, and friendly as he is. Overall, a wonderful practice." "I have been going to Dr. Garcini for 15 years, and I have been consistently pleased with the care I have received." "I have been a long time patient of Dr. Garcini and can honestly say he is a great physician. He never makes you feel rushed, and has excellent bedside manner."